Having issues with your succulents in the winter? Growing succulents in places with long winters and little amount of sunlight can be a real problem. You can use the best grow lights for succulents during winter. Even without sunshine, your succulents will be at their best. This article answers both questions. 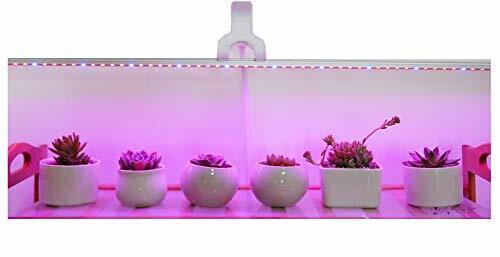 It also reviews the best grow lights for succulents. This will help you in choosing the best light bulb for your succulents. Do Succulents Need Grow Lights? Can Succulents Grow in Fluorescent Lights? How to Choose the Best Grow Light for Succulents? Grow lights are not a necessity, but they definitely help. If you live in a place where you don’t get much sunshine, grow lights are the best solution. Getting enough light is necessary for proper growth of succulents. They might grow fine in summer, but in winter, they would need grow lights. There are adverse effects of not getting enough light. The succulents, due to lack of light, will start to lose their bright colors. Lack of light can result in them losing their shape as well. They won’t die, but they will no longer remain equally healthy. Lack of light can cause the succulents to stretch out. Succulents no longer remain compact when there is not enough sunlight. This is where grow lights come in handy. They will keep your succulents bright and maintain their shape. They might grow fine without the grow lights, but they will lose their candor. So if you want to keep your succulents bright and compact, grow lights are the best option. Yes, succulents are sun-loving plants. Even if you live in a place where you have long winters, you can grow succulents using grow lights. As long as the correct quantity of light is given, succulents can be grown using grow lights. These questions are answered here. They will help you with choosing the best light bulb for succulents. Fluorescent bulbs are great for growing succulents. The color of the light should be within the visible light spectrum, as it will help the succulents grow. The lights should be about 6 to 12 inches away from the succulents. The number of lights that are to be used depends on the number of succulents that need it. The brightness of the light determines the amount of light the succulents will get. Direct sunlight in the afternoon emits 20,000 lumens/square foot approximately. If you use 2,000-lumen bulbs for approximately 14 hours a day, it would be the same light exposure as that from the summer sun. The number of watts consumed by the grow lights is another factor to be considered. The more the amount of power consumed, the more the electricity bill will be. Energy efficient lights, with high lumen count and low wattage, should be used. Succulents require a specific light in terms of the color temperature of that light. It is measured in the unit Kelvins. The optimal color temperature for succulents begins from about 5,000 Kelvins. It will give the succulents the light spectrum that closely matches that of the sunlight. If the lights give off a large amount of heat, there is a danger of them getting burned if placed too close. If you place them away to protect them from heat, they may not get enough light for growth. You will also have to spend money on ventilation, which will increase the overall cost. Before purchasing a grow light, make sure that it does not produce a lot of heat. Keeping all these factors in mind, here are some great deals for the best light bulb for succulents. 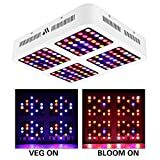 This grow light helps in increasing germination success and works great not only with seedlings but with herbs, greens, flowers and many more. It is ideal for faster growth due to the fact that it gives out an extraordinary output T5 with full daylight spectrum. Jump Start 4’T5 is designed in such a way that you can position it closer to the succulents and provide the plants with high amounts of light. This device is even compatible with Hydrofarm’s FLV, FLT and FLP tubes. The design is very easy to assemble without any help. It is perfect for cuttings, flowers, house plants and seedling. It allows the seedlings to grow at a faster pace and increase the lumens to 15-20%. It also contains a toggle clamp which helps in height adjustments. It contains an Internal reflective finish which allows it to give more light to plants. Morsen Reflector Series 1200W LED provides a full spectrum layout. 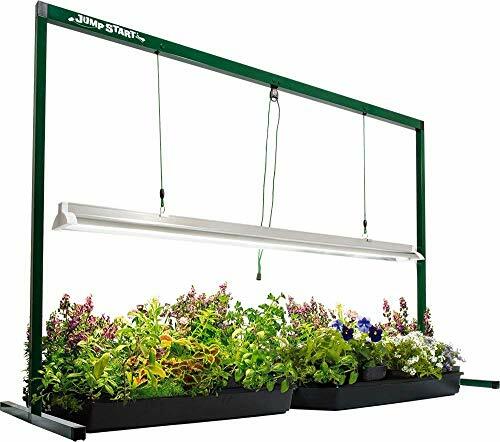 These grow lights are made with a reflector design and with upgraded aluminum heat sinks making it well-suited for most vegetables, flowers and indoor plants at all stages of growth. Morsen Reflector is designed in such a way that it keeps the Lumen Output/Par and coverage very balanced. They also allow you to save energy when compared to traditional 1200 watts HPS/MH and consume only 233 watts! It is extremely bright and you cannot look at it directly. It is also not water-proof. If it gets too close to the plants it may burn and kill them. 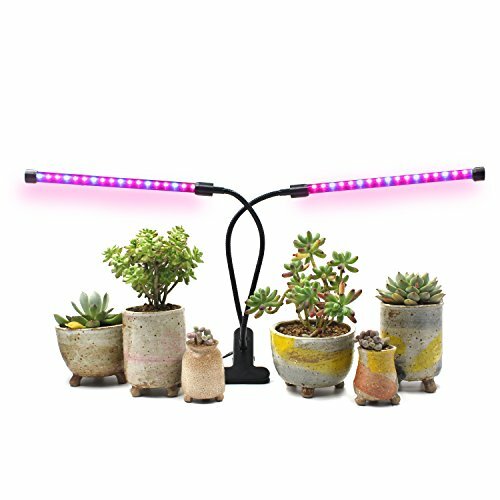 The LED Grow Light Ledy is designed for indoor and outdoor plants such as flowers, herbs etc. It is of premium quality and has a UL certified power adaptor. 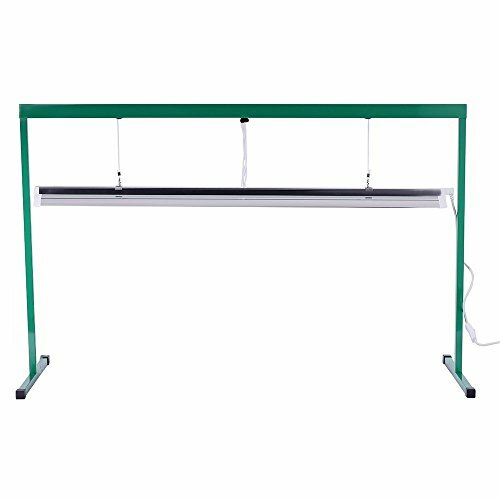 The Plant growing LED strip light helps in improving the health of the plant and increasing its growth. It is 3.2ft long and is long and is waterproof. It has a soft LED grow light which requires an input of 100-240V and output DC12V and a 2A power adapter. It has a 4 pieces strip LED light fixed to the bar. The Red: Blue = 4: 1 is the perfect design for Plant tissue culture, cultivation of vegetables, industrial seedling and aerospace ecological life support system. This design makes it optimum for all stages of plant growth. This grow light can get very hot to handle. It is not very bright as compared to the other lights. It also does not stick to the walls easily. 18W Dual Head Timing grow lamp comes with a USB connector and a strong clip making its design very easy and it can be placed inside your home and office, anywhere you want! Thie input voltage to the USB adapter must be 110-120V. It has Red and Blue LED grow lights which have different wavelengths of 460nm and 660nm and these targeted wavelengths are good for plants. The 12 Blue bulbs have in chlorophyll synthesis allowing the plant to use more energy and in result – better germination. The 24 red bulbs help in the process of photosynthesis, flowing, germination and bring better growth results. It has good timer options with a 3 hour, 6-hour and even a 12-hour timer. You can adjust it according to what your plant requires. You can even dim the lightness to avoid destroying your plant with a 5 level dimmer for different plant stages. It even contains an adjustable 360-degree gooseneck which makes it very easy to put the light in one direction and cover a larger area. This light can only stand on a horizontal desk due to the fact that it has no clips and you will also have to set the timer manually whenever you need it. 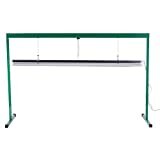 The iPower 54 Feet T5 Grow Light system is made of premium quality and has a single T5 bulb offering maximum coverage and UL/CSA listed fluorescent fixture that provide your plant with a wide reflector. It is super easy to assemble on your own. Its height-adjustment mechanism allows you to lower and raise the fixture easily. The whole frame is very sturdy and made of metal. It can measure approximately 50 by 18-1/2 by 0 inches. Does not cast the light well. The frame pieces do not fit together sometimes. Grow Lights help succulents in various ways. These have been discussed in detail. Reviews for some of the Best Grow Lights for Succulents are also given. If you are growing succulents, and need the best light bulb for your succulent, choose from those given above for the best results.